The dust has barely settled on CSKA Moscow’s triumph in the 2016 Final Four but eyes are already turning towards the next season of the leading basketball tournament in Europe. At this point in time, 15 of the 16 participants have been confirmed for the next campaign with one spot left up for grabs. The remaining time will be the side that wins the German BEKO BBL and the final will be played out between Brose Baskets and the winner between Skyliners Frankfurt and Ratiopharm Ulm. The BBL Final may not be concluded until the 17th of June so don’t expect the final place to be concluded too soon but there will be plenty of fans already making plans to enjoy some great trips in the Euroleague next season. 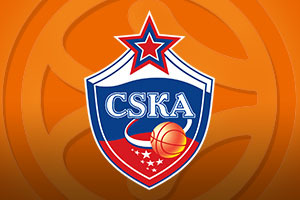 As you would expect, the reigning champions CSKA Moscow are already in place and they will be joined by Anadolu Efes, EA7 Milan, Barcelona, Fenerbahce , Laboral Kutxa, Maccabi FOX Tel Aviv, Olympiacos, Panathinaikos, Real Madrid and Zalgiris. Also joining them will be Unics Kazan who earned a B Licence as a VTB finalist, Crvena Zvezda are in the next tournament thanks to being Adriatic League champions, Galatasaray will be back in the Euroleague thanks to winning the Eurocup and fellow Turkish rivals Darussafaka Dogus will be in place next season as well. Most of the focus in the basketball world may be falling on the NBA Finals at the moment but the fact that the 2016/17 Euroleague season is shaping up nicely is something that is worth commenting on as well. This year’s tournament was a great success and there were surprise packages in the Final Four. This has helped to liven up the tournament and there will be plenty of fans thinking that their team will be in with a chance of doing well in the new season. The new season of the Euroleague won’t get underway until Autumn but if you want to plan ahead and give yourself something to look forward to, now is as good a time as any.